The Grilla Smoker-Grill is a wood pellet smoker-grill made of 18 gauge steel that has a long lasting powder coated finish that is perfect for a beginner or someone who is familiar with using wood pellet smoker-grills. 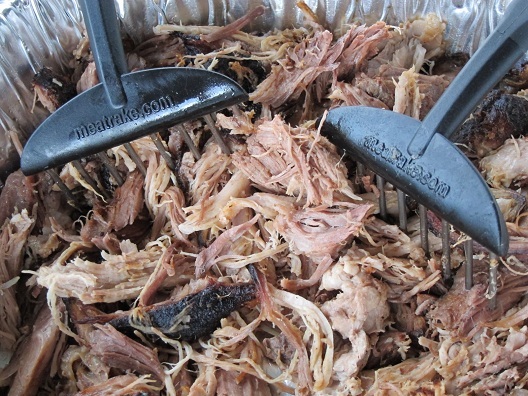 The Grilla, just like other pellet smoker-grills, is a leave it and pretty much forget it style of cooking. It has stainless steel side trays which are very easy to clean and give you a great amount of space to set plates on and a swing lid which makes it very easy to check on your food without having a lid to lift off and also can be left partially open as necessary, without losing all your heat. Another great feature is the round shape of the Grilla which eliminates hot and cold corners. 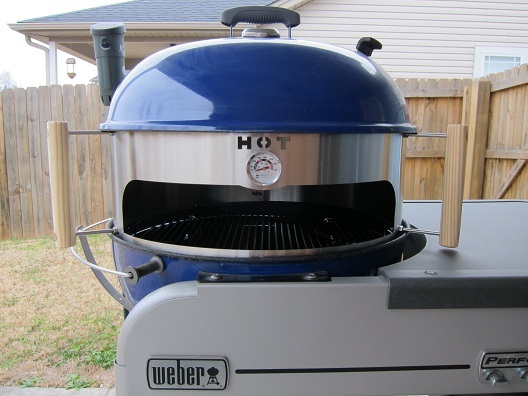 The round shape also makes for a smaller foot print, which is nice for those that have limited space, but also want all the great features of a pellet smoker-grill that doesn’t take up your whole patio. 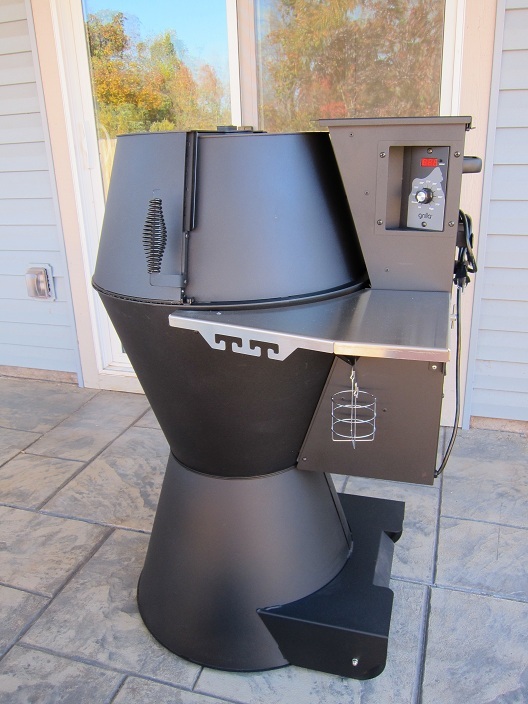 It’s a very nice American Made wood pellet smoker-grill to check out! You can purchase the Grilla Wood Pellet Smoker-Grill at this link here. You can find a great deal on the Meatrake here. 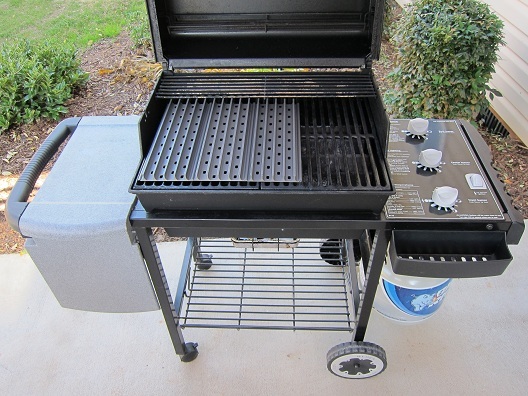 GrillGrates are interlocking panels that lay on top of any grill to form a new grill surface. GrillGrates make it much easier to grill over direct heat and the added protection and temperature control allows you to cook hot and fast or go slower if you want. They have a hard anodized finish with raised rails that clean easily. The raised rail design helps protect against charring flare-ups that burn and dry out grilled food. The holes in the GrillGrate let fat drain through and burn up on the back of the grate and not on the food itself. 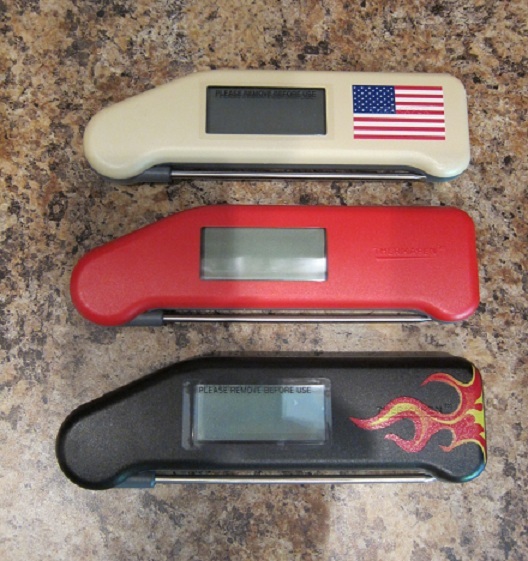 GrillGrates also help eliminate hot and cold spots on your grill. If you’re looking for a product to take your grilling experience to the next level, then you’ll want to check these out! You can find a great deal on the GrillGrate here. The KettlePizza is an American Made stainless steel sleeve that turns your kettle grill into a wood fired pizza oven. It fits between the kettle grill top and bottom creating a cooking chamber. The opening in the front allows access to that chamber. The heat comes up from the back of the kettle, along the rear of the cooking chamber and over the top exiting at the front opening. This setup creates a consistent heat loss that flows over the top of the pizza ensuring properly cooked pizza toppings. The KettlePizza can maintain consistent temperatures upwards of 750 degrees with the use of charcoal and hard wood. The KettlePizza is a great quality, American Made product for people and of course Dads who love the wonderful taste of wood fired pizza! You can find a great deal on the KettlePizza here. I hope all the Dad’s out there have a very Happy & Blessed Father’s Day! Thanks so much Fred! I appreciate you leaving a comment!